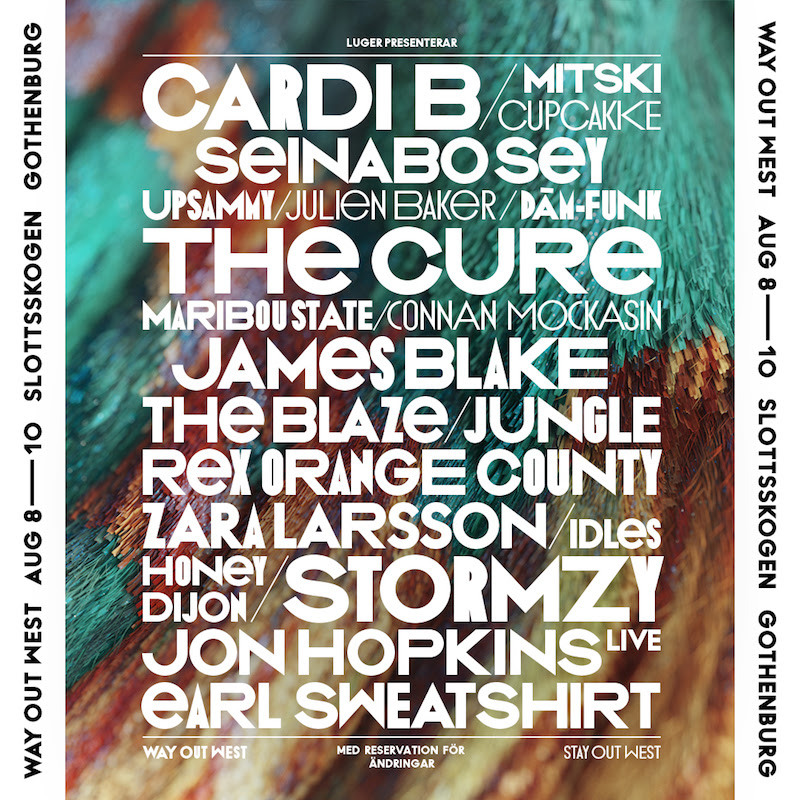 Way Out West is Sweden’s biggest cultural encounter, welcoming over 100,000 visitors to Gothenburg for three days of music, festivities and culture. Year-on-year the programme showcases the biggest names in music, with goth-rock figureheads The Cure, global phenomenon Cardi B and soon-to-be Glastonbury headliner Stormzy set to top the bill in 2019. The festival is a cultural melting pot and showcases over 100 artists alongside film premieres, engaging and forward-thinking discussions, award-winning vegetarian food, world-leading sustainability credentials and a robust nighttime programme of events entitled Stay Out West from 8 – 10 August. As well as its huge headliner line-up, the 2019 programme includes standout performances across the three days from electronic producer and singer-songwriter James Blake, alt-rap royalty Earl Sweatshirt, soul stars Jungle, punk powerhouses IDLES, Tyler, The Creatorand Frank Ocean-collaborator Rex Orange Countyand Swedish-born international superstars Zara Larsson and Seinabo Sey. Previous years have seen the likes of Frank Ocean, Kanye West, Lana Del Rey, PJ Harvey, Alicia Keys, Prince, Sia, Kendrick Lamarand Erykah Badu take to the stage in Slottsskogen. Stay Out West takes place in multiple venues across central Gothenburg after hours, immersing the festival within Sweden’s capital of music. Controversial Chicago rapper CupcakKe, experimental rockstar Connan Mockasin and middle-American indie folk favourite Julien Baker are set to perform. Since 2011, the film programme at Way Out West has become a rich and valued part of the festival. Every year, up to 40 films are selected and displayed in cinemas around Gothenburg and in the festival area in Slottsskogen. Over the years, Way Out West has hosted premieres for films such as the Oscar and BAFTA-winning Searching for Sugarman and Boyhood and Palme d’Or-winning The Square, as well as the multi-award winning Turist, Gräns, Palme, Monica Z, Tusen Bitar and Snabba Cash 1-2. The film selection is a mixture of feature films, documentary, tv-series and short films, often with a focus on music and social issues. Way Out West has a long term commitment to environmental issues. The festival continues to thrive in being one of Europe’s most sustainable events and has reduced its carbon footprint year-by-year. Since 2012 Way Out West has proudly been completely meat and largely dairy free with a vast vegan offering. Way Out West takes place from 8 – 10 August 2019. 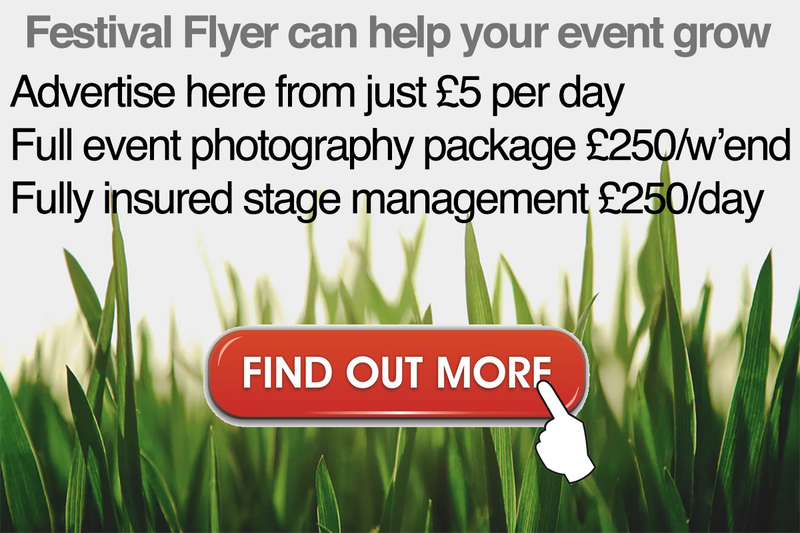 Three-day passes start from £140. Previous Farmer Phil’s Festival news: And the WINNER IS…………….